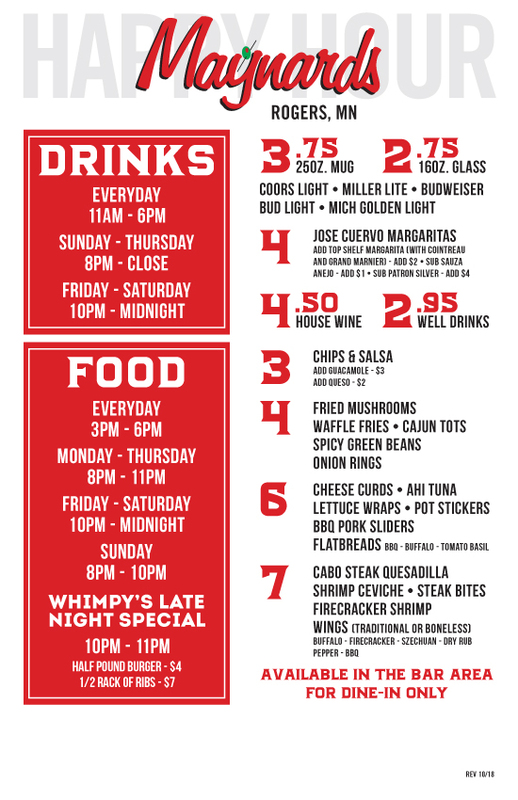 At Maynard’s, we are pleased to offer Happy Hour specials seven days a week in our bar area. Check out our daily drink and appetizer specials and come, relax, and enjoy! See Our Happy Hour Specials! 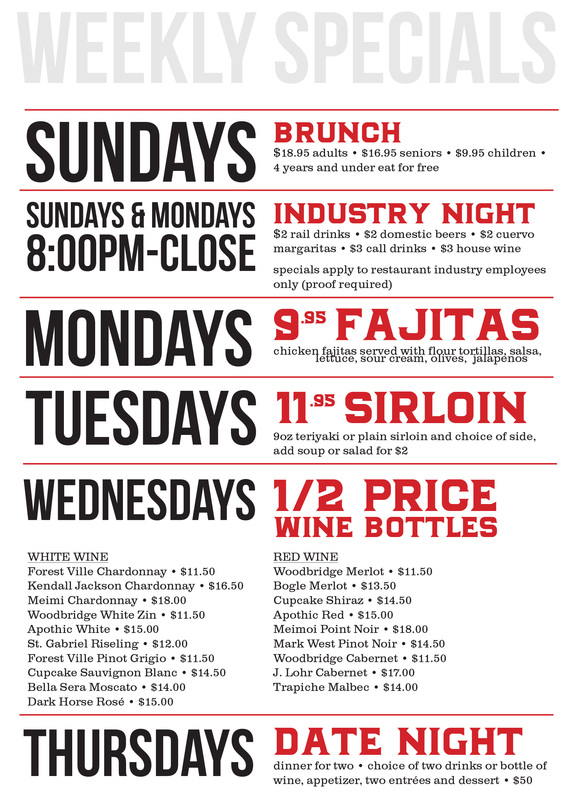 Maynard’s in Rogers is pleased to offer Daily Specials seven days a week in our restaurant & bar area. Check out our daily specials and come eat, relax & enjoy yourself. 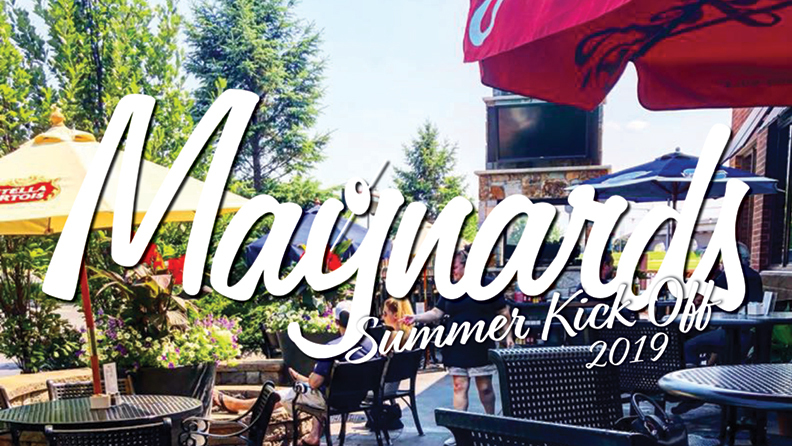 Copyright © 2019 Maynards Restaurant – Rogers, MN. All rights reserved.